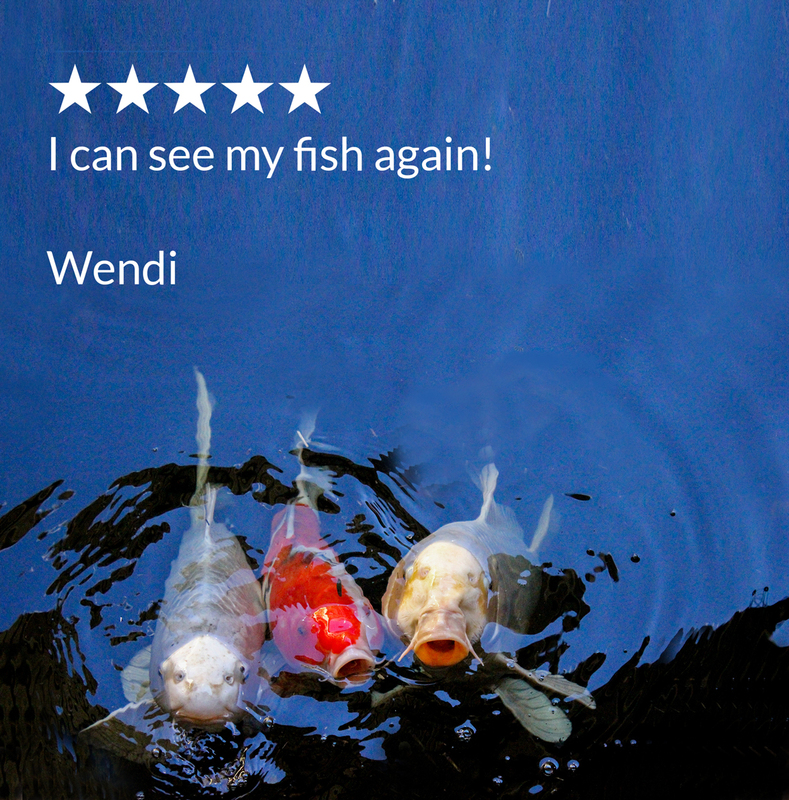 Pond Owners everywhere must deal with green algae. 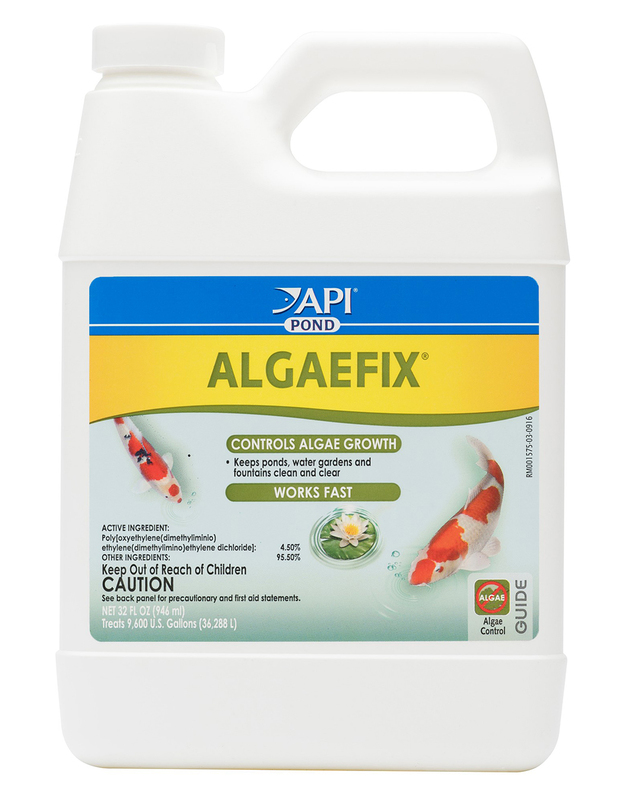 Pond Care Algaefix is powerful and acts quickly while taking out some of the guess work. Earlier algaecides were not selective but Pond Care Algaefix was developed to control single-cell algae, string algae and blanketweed without harming or damaging the decorative plants in the pond. 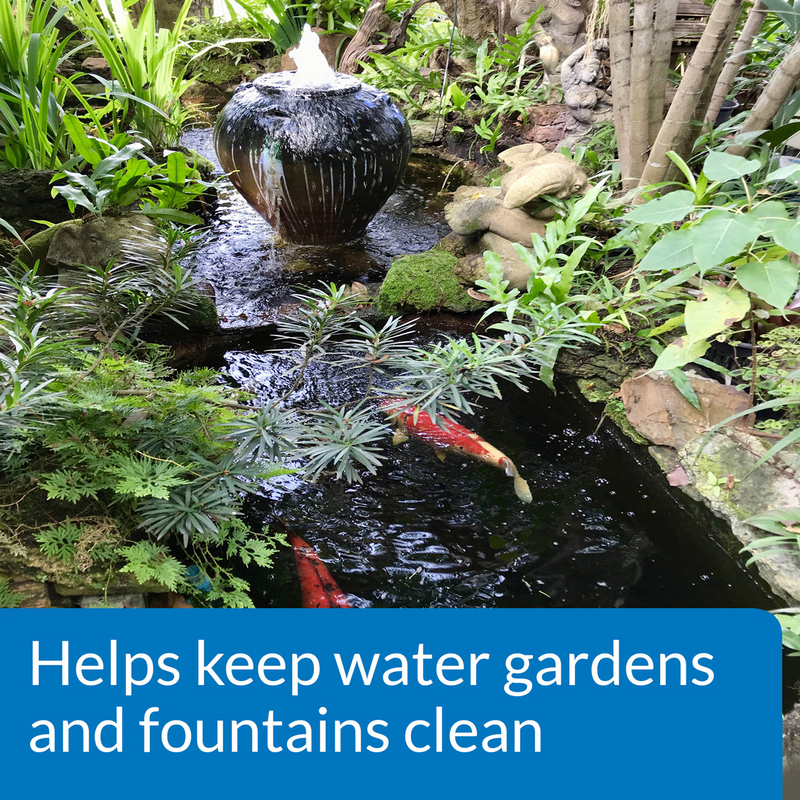 Excellent for use in all types of ponds, fountains and water features keeping them clean & clear. E.P.A. Registration #8709-8. **NOT SOLD IN CANADA** or outside of the US. Can be used in ponds with plants!